Timber has reclaimed its place in the urban environment. This oldest of mankind's building materials is not only perfectly suited for conversions, extensions and infill projects, but also for the construction of multi-storey buildings all the way up to skyscrapers. 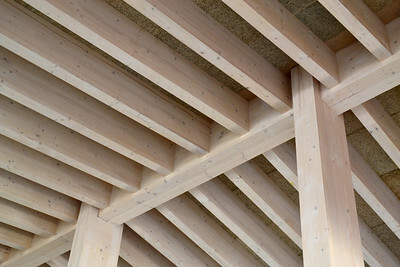 This has only become possible through ongoing and intensive research and development in timber construction which over the past couple of years has led to a range of hybrid solutions. 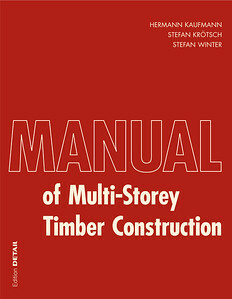 DETAIL's Manual of Multi-Storey Timber Construction reacts to this new development in practical applications. It looks at the modern usage in construction beyond the traditional categories of timber frame and solid timber construction. The team of authors assembled by Hermann Kaufmann has developed a new classification of construction methods which is based on real world experiences and which shows the multitude of combination and design possibilities for the segments. In the volume's part on the projects a number of individual concepts, challenges and processes are explained and presented through detailed drawings, articles and comparable key figures. 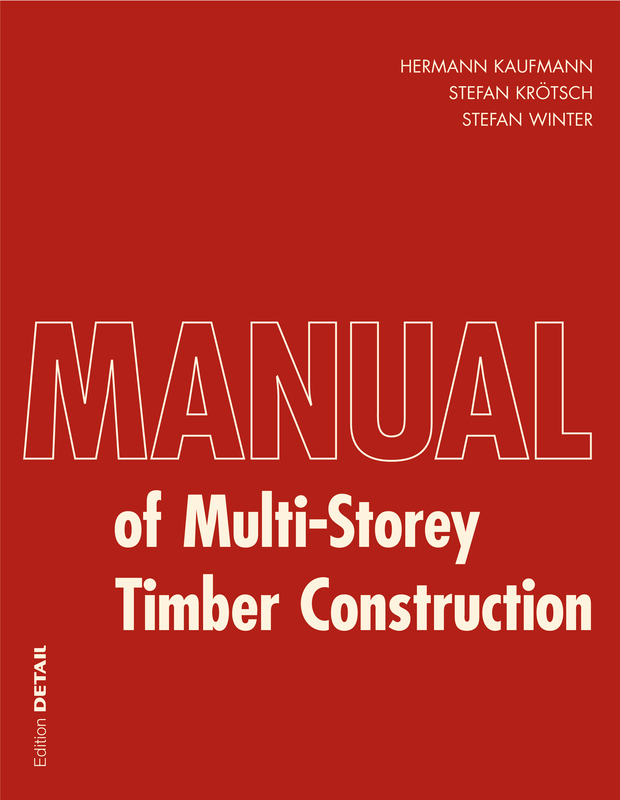 The manual conveys the essential expertise necessary for architects, engineers and wood specialists to go through the process of design, prefabrication and on-site assembly and shows that building with timber is just as easy as with any other construction material. Since it is essential that specialists from different areas work together during the integral planning and construction process of hybrid building methods the volume aims to impart mutual understanding for all members involved in the project. In addition, it also provides the necessary technical expertise to convincingly advocate in favour of modern timber construction when dealing with building contractors, politicians and the authorities. 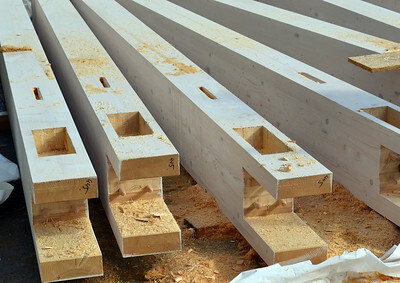 There certainly are favourable reasons for a revival of this classic building material's use: it is solid, yet at the same time lightweight, can be worked easily, efficiently transported and lends itself to prefabrication. It is seen as visually and tactilely appealing and is not least a sustainable and renewable resource.